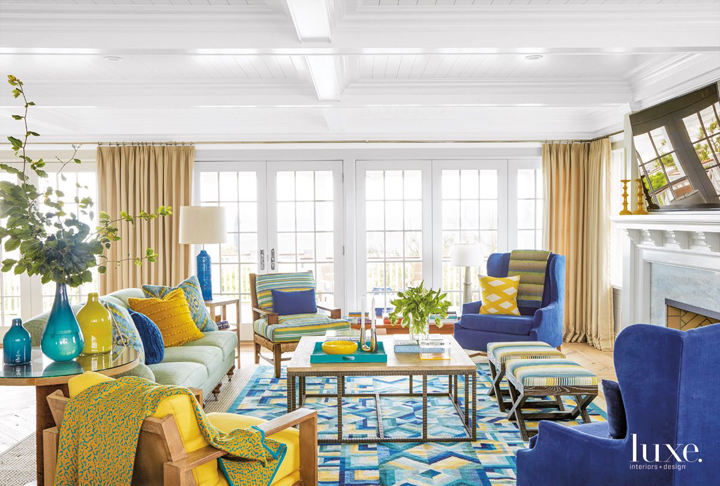 When a color-loving family wanted to renovate their shingled beach house in the Hamptons, they turned to New York City and Hamptons-based Scott Sanders LLC to transform their home into a place to relax, casually entertain and celebrate the ocean. 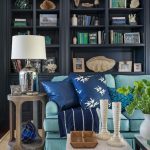 The talented designer took his cues from the water when filling the home with vibrant blues and pairing them with with an array of happy hues. It was hard to pick, but not surprisingly the dreamy master suite is my favorite space! 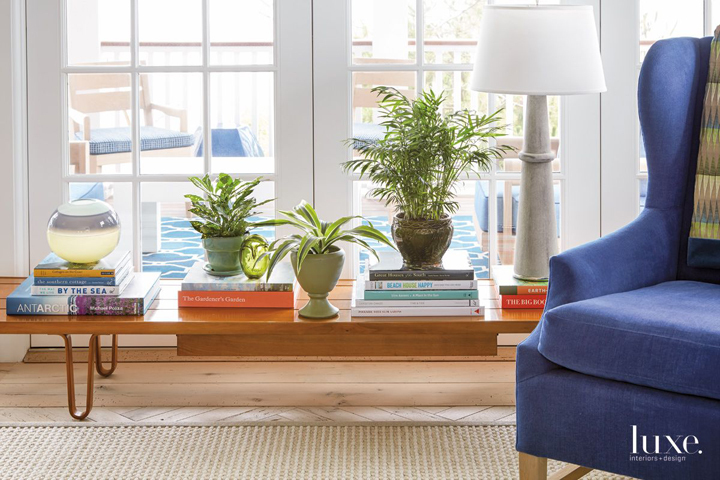 The turquoise grasscloth wallcovering is like a dip in the ocean! 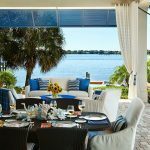 There’s more to see…finish your tour with more photos by Tria Giovan and read all about the home over at Luxe Interiors + Design! 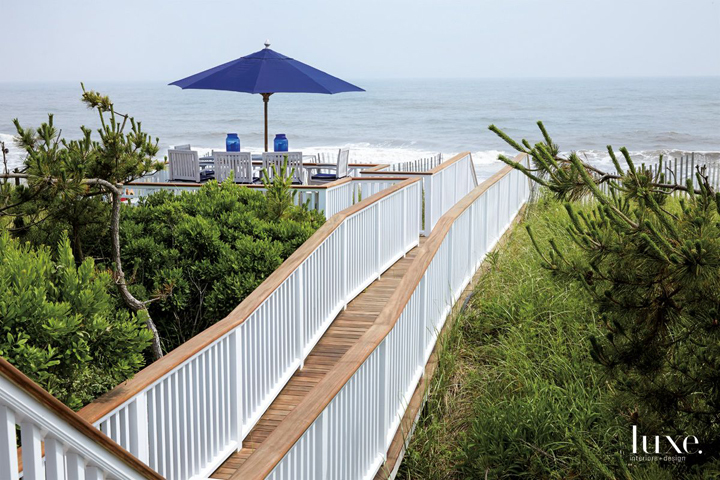 And for another one of my favorite projects by Scott Sanders, go here! 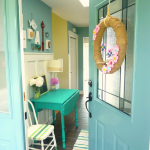 Love turquoise? Visit my shopping blog Everything Turquoise…updated several times throughout the day! 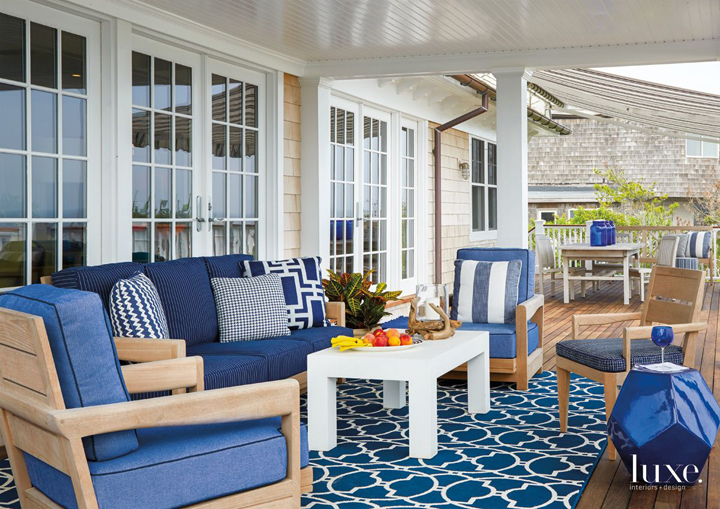 Check out Decor by Color for even more color-themed shopping! I could live here! 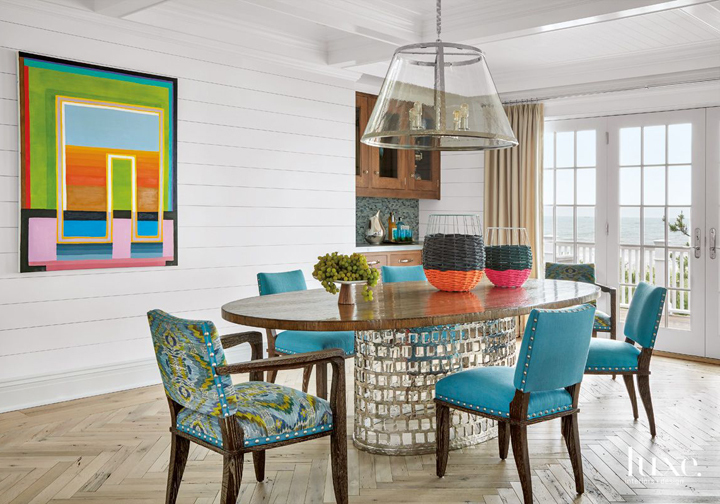 I love the colors and patterns in the living and dining rooms! 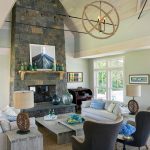 Love all the houses and decor you highlight! Thank you for your work. 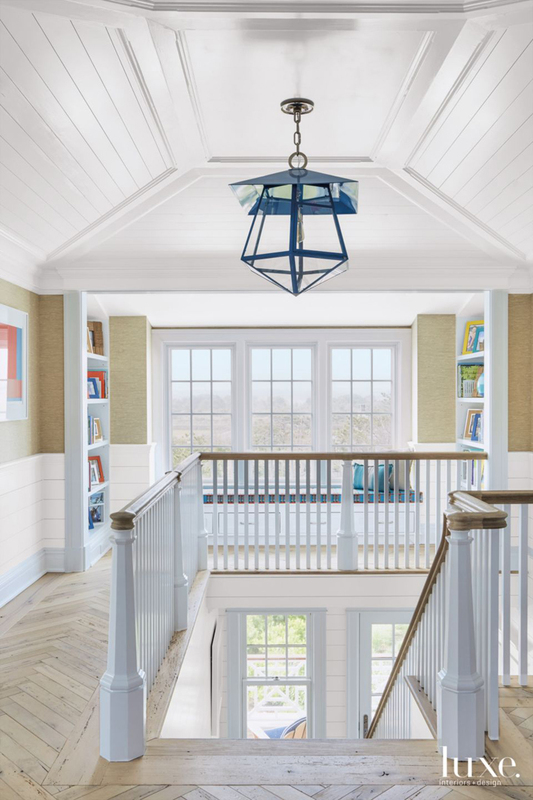 Where could I get more information about the hanging light in the loft, that hangs over the staircase? Very different and unique. Patsy- Thank you so much! 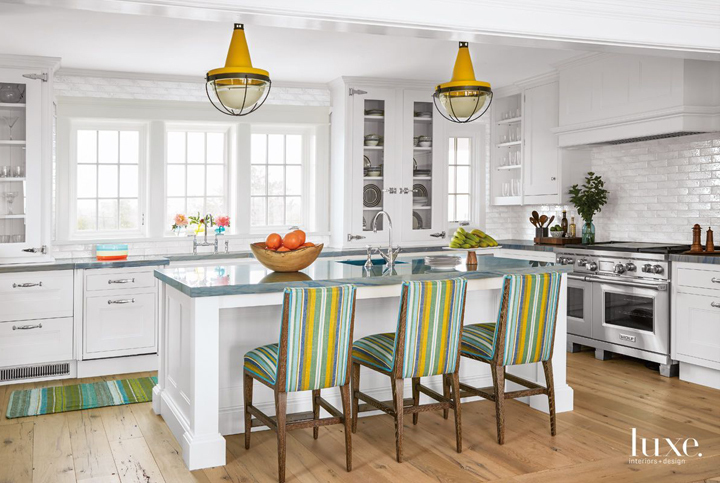 🙂 That great hanging lantern is by The Urban Electric Co.
Wow I love all of the geometric patterns and lines. What a lovely home! I live the patterns on the first picture rug. I LOVE THIS! 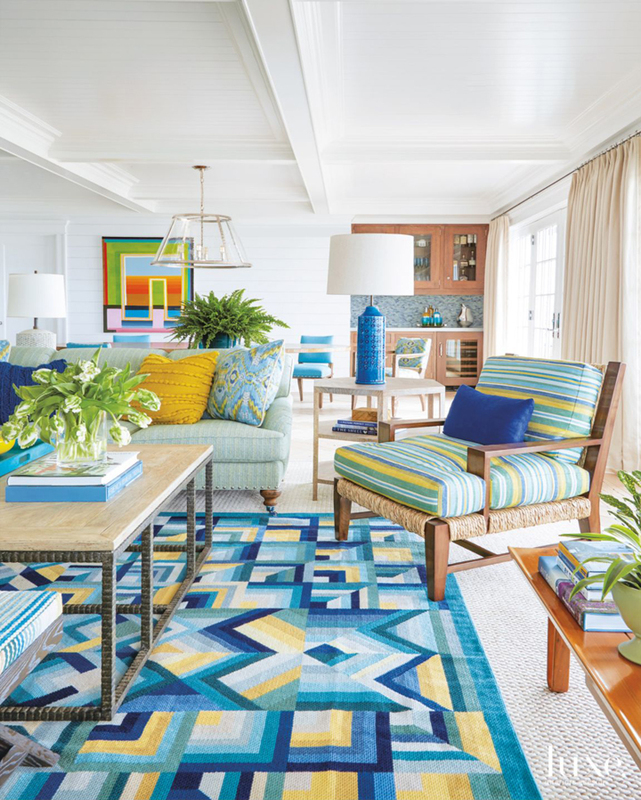 Do you know where the rug came from that has turquoise, blue and yellow in it? 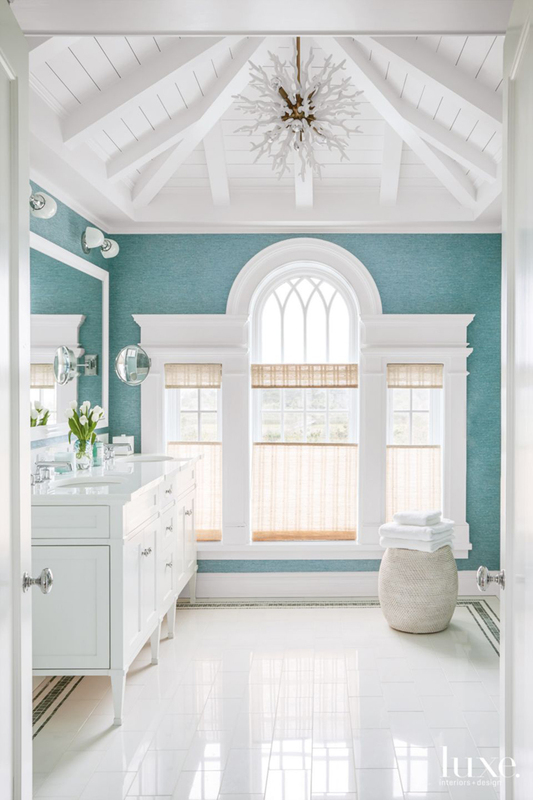 Do you what color the bedroom and bathroom are painted? 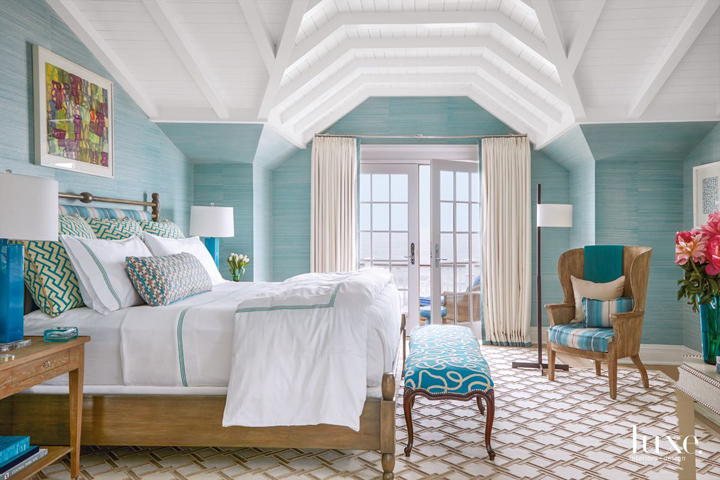 What is the name of the turquoise grasscloth wallpaper in the one bedroom and bathroom? Subscribe to receive the latest content delivered straight to your inbox!